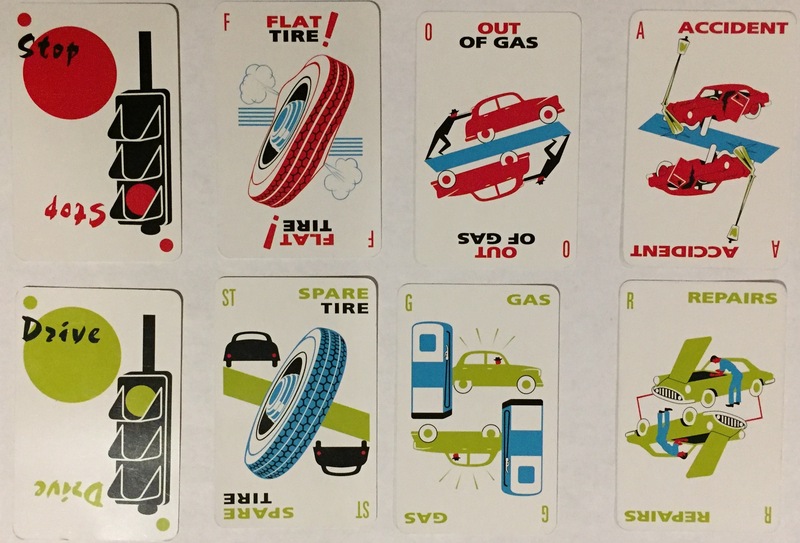 Mille Bornes is a delightful, all-ages card game. I have fond memories of playing back-to-back rounds against my parents and (then) little sister, so last Christmas I bought a copy for myself my 6- and 9-year-old sons. It’s been three months, we’re still playing it regularly, and the game is as fun as ever. Unlike Candy Land, it’s not completely deterministic, or a thinly veiled Markov chain like Hi Ho Cherry Ho. 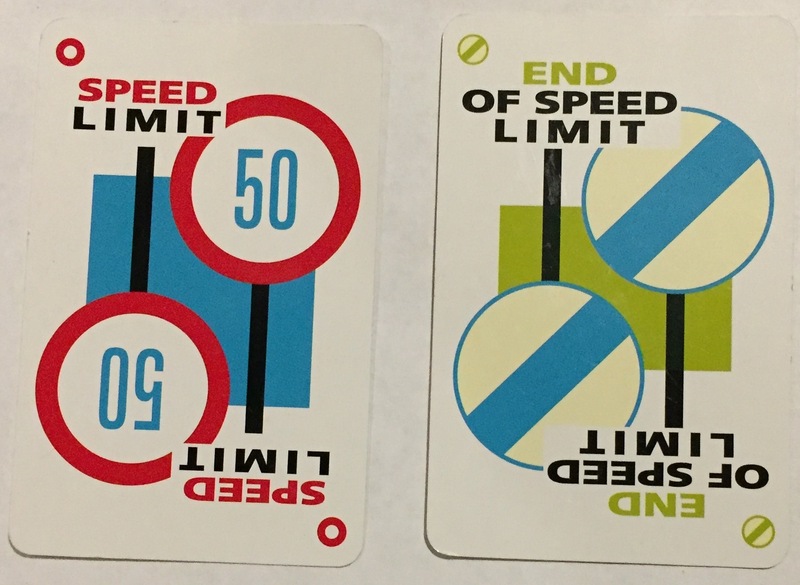 Instead, Mille Bornes incorporates chance, shared knowledge, and imperfect information to create non-obvious decisions (especially when choosing what to discard). Yet it remains simple enough for children to play competently. The animals are a nice bit of whimsy. It’s frustrating to have a handful of snails, but drawing a bird will test anyone’s glee-obscuring poker face. Red is bad; green is good. Consistently. 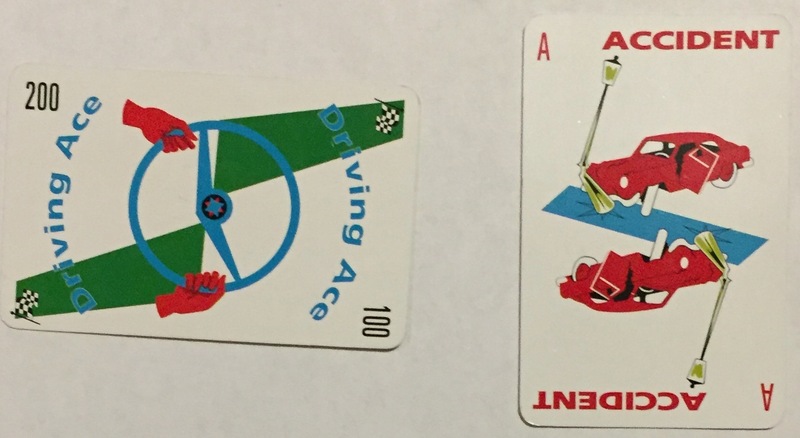 The main images are distinctive and easily recognizable when played across the table. There is no right-side up. Even better, everything is summarized by unique and color-coded iconography when the cards are fanned. Stop and drive use stop-light evoking circles, while the hazards and remedies use unique first letters. Safeties are permanent remedies for each of the hazards (fire truck is my fav because it counters both stop and speed limit). The card names are well-chosen: it’s pretty obvious which one pairs up with each hazard. The corners pop because they use icons instead of letters, and the solid green strips draw further attention whether they’re across the table or fanned out in your hand. 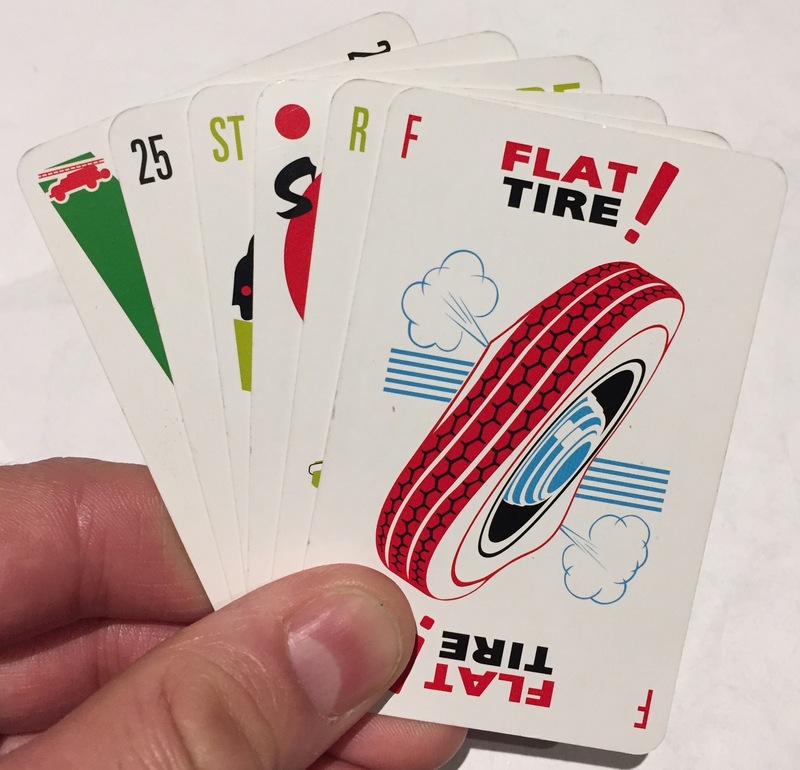 As an adult I appreciate the delightful design of Mille Bornes, but the best part is watching my kids fall in love with it for the same reasons I did: it’s easy to learn, possible to win (even against adults), and fun to play — thanks in part to good design.